We connect to the outside via 100Mbs Cable Modem. Internally, we run gigabit ethernet and HD video fibers. We manage 16 terabytes of raid and online storage. We constantly monitor and back up all our processes every 10 minutes. Our software programs include Adobe Cloud products, Quark Express, MS Office Suites, and a variety of specialized variable data, mail processing, and other workflow utility programs. Individual workstations are both Mac and PC with several specialized Unix platforms. (2) Xerox iGen150 digital color presses- Maximum sheet size of 14.33" x 26"
We easily print DIRECT TO BOARD on virtually any substrate up to 1/2" thick with UV eco-friendly inks. 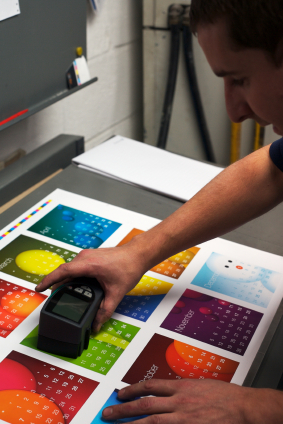 Bucks Digital Printing has one of the most advanced finishing binderies around. 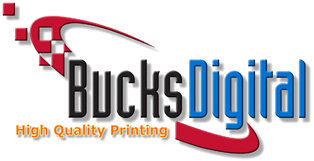 Each and every operation is state of the art in quality and efficiency - especially designed for the demands of digital printing. Lamination Equipment- Laminate your finished printed product for the ultimate protection and longevity. We offer from 1.7 to 10 mil thickness in matte, gloss and specialty films such as dry erase and writable. Perfing and Creasing - Morgana, Graphic Wizard and Tri-creaser technology afford us the best in no-crack creasing and clean perforations. UV Coater (Kompac)Satin and Gloss Coating available on all our digital work! Wire / plasticoil punching - at about 40k sheets/hr, there's always time to punch.